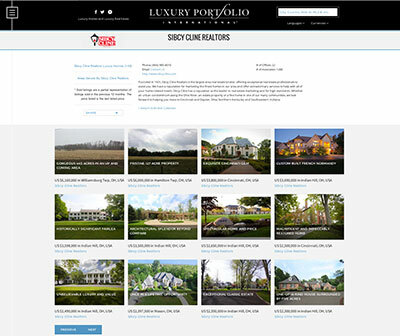 Sibcy Cline's luxury homes are marketed locally on www.SibcyCline.com – the most popular real estate website in the region – as well as globally on LuxuryPortfolio.com with exposure to the largest sphere of international high-net-worth consumers. Luxury Portfolio International is the luxury face of Leading Real Estate Companies of the World, a global network of locally branded companies dominated by many of the world’s most powerful independent brokerages. Luxury Portfolio is comprised of a select group of 200 real estate firms (50 outside of the U.S.) that are part of this organization. These companies represent more luxury listings and sales than any real estate luxury organization. Luxury Portfolio International is the only luxury affiliation with an aggressive online and print strategy as demonstrated by its extensive global print advertising in publications such as . 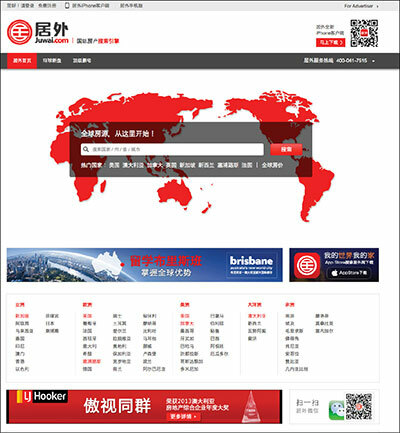 . .
Sibcy Cline’s luxury homes are also featured on Juwai.com, China’s largest and most popular luxury real estate website through Luxury Portfolio International.